I have a couple of updated pics to go with my chocolate recipes. My darling dearest hubby actually made these treats and took pics of them while I am gone! And now that it is in writing, he can't deny that he helped with my blog! :) Isn't he great? 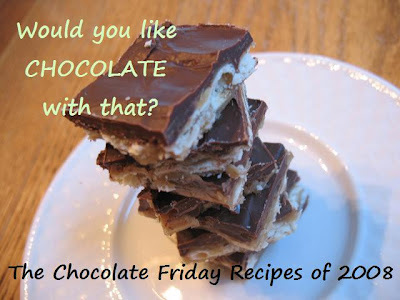 I put it on my sidebar in case you ever need easy access to any of the yummy chocolate recipes. Thanks for joining me for chocolate today! 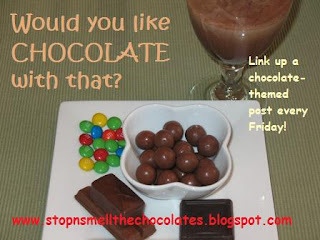 Please link up your chocolate posts now - I could really use some extra chocolate today!! Get more info here and check out last week. Oh my friend. I was cracking up so hard over that (the copy and paste thing) yesterday on the phone. You have no idea. Well maybe you do since you were on the other end. LOL. I loved your post for today and that you have an official button for all your chocolate yummies. You will be my source for chocolate recipes from now on. I guess I should get on that button for us to raise money to go to Hawaii, huh? LOL. I do love ya sweet sister friend. Big 84 degrees here but not there size hugs to you my friend. 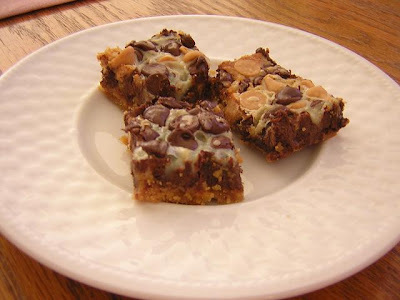 Those cookie bars look dee-lish! I'll have to try them. I may have linked this brownie recipe before, but I made it again this week and they were still yummy, yummy! It's so neat that you're able to help your dad. Stay warm. 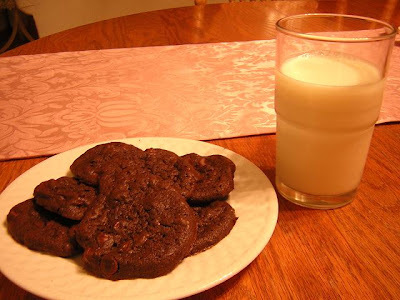 I clicked the Double Delicious Cookie Bar and it went to the Cake Mix Chocolate Cookies (just a note, I've tried those before - yum!). Anyway, just thought I'd let you know. I did find the recipe using your handy-dandy button on the right. :) Great idea! That link is fixed now. Thanks for letting me know Jen! Yummy! Those cookies look so good! Mmmm....Those look delicious! Your husband did great! Mine loves to cook, but hates to bake. So, I am completely impressed. Let the changes begin! Come see me at heresmycuplord.com!! Blogavarsary is on it's way, so grab your button, and send your friends! Suddenly I have a craving for chocolate cookies. Your bars look yummy too!